Ok, it's a sprint distance, so there's not a lot of strategy, other than to go hard and stay focused so you don't lose time anywhere. Time is precious in all races, but especially in a short one. If you take a little too long putting on your helmet, those lost seconds really hurt to get back on the bike or later on the run. The course can be summed up by looking at the elevation of the bike course. It's basically a thousand feet of climbing over 12.4 miles, and you can see all the climbs aren't long, but they happen often. There are a couple things I might have done differently. 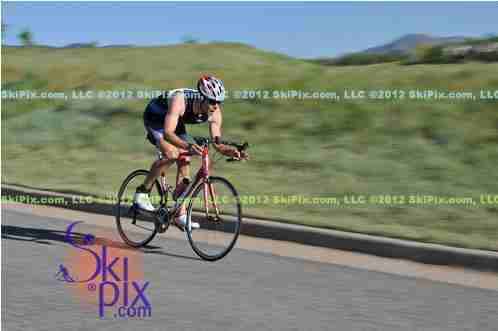 One is to ride my tri bike instead of the road bike. 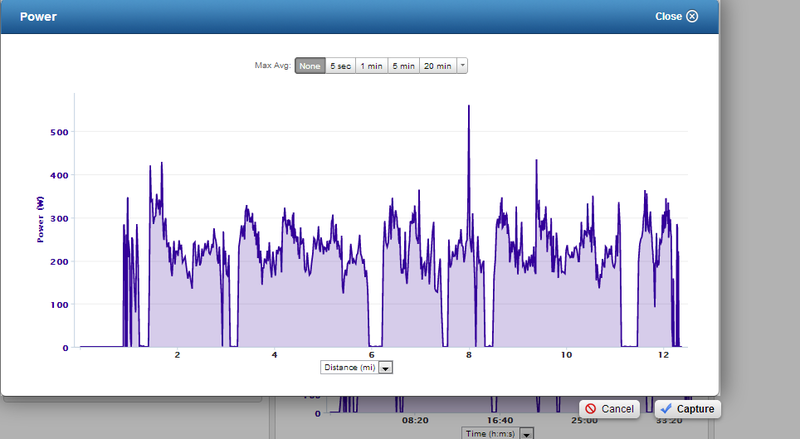 I think I could have picked up time on the downhills. I didn't because I hadn't spent enough time on the tri bike riding in aero and didn't want to mess around through corners and on the downhills trying to smooth it out. 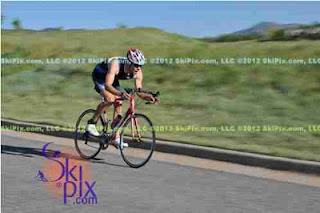 For the next 3 weeks however, all I'm riding is the tri bike in prep for Lake to Lake (Olympic distance). Second, I would have probably rode the course more like a BMX course, really hammer the hills and recover on the downhills. I think I could have rode this less smooth and still toughed it out on the run (which had it's own share of hills). Another way to look at the bike course is to compare average power (211W) with normalized power (230) - that variability tells you that it wasn't a simple flat time trial. 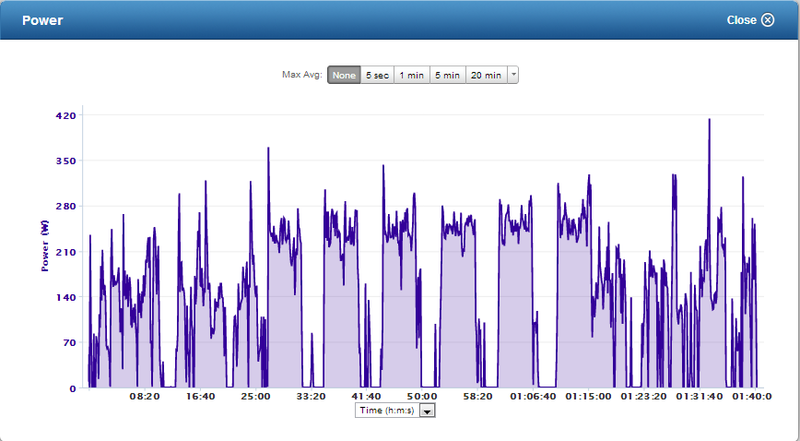 I also felt like I held back a bit on the bike and could have probably juiced it a bit more. Anyway, good lesson learned. The swim was a pool swim - which was fun. I like the energy when you walk onto the deck and there are people cranking out laps in each of the lanes already as you wait your turn to hop in. 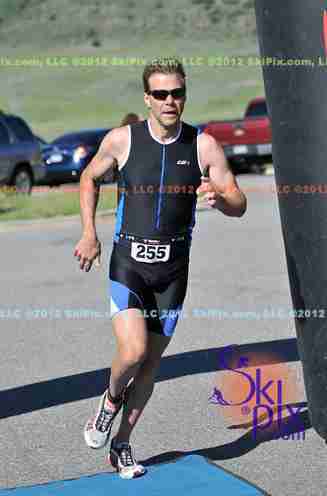 It was short (475yd), even for a sprint distance (normally 740m) - so I swam pretty hard out of the gate. Had to settle into a rhythm though because we got bunched up a bit. No worries, more for the bike and run. I still think my swim has a long way to go, but it's getting there. I feel like I'm on the crest of a breakthrough on a number of fronts there. T1 and T2 were solid. Nice and calm and smooth. Could always be faster. 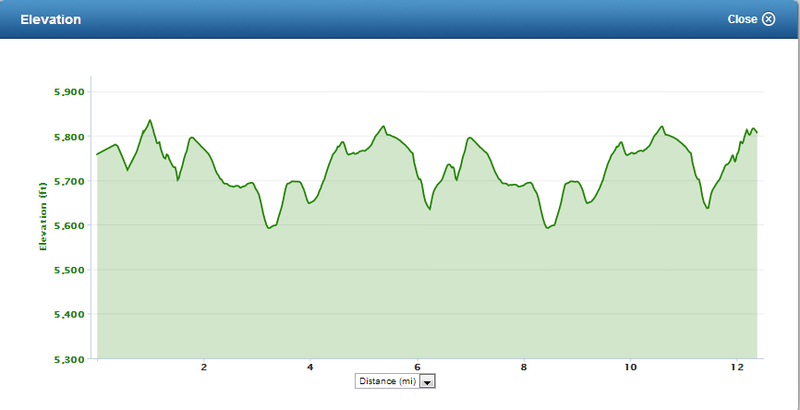 The run went fine - but I felt a bit flat. 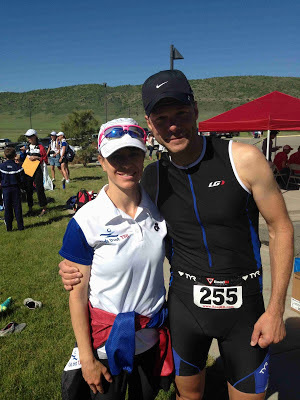 It wasn't the bike's fault - some days are just like that with running. It's what I had that day. Ran a 6:54 pace, and with the hills and running on grass and dirt - that was not too bad, although I should have been able to pull a 6:40 on a better day - even with a harder bike. 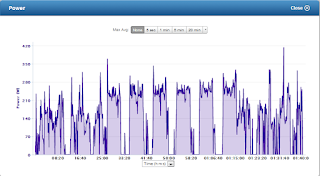 I don't have any data from the run because I just left my Garmin on the bike. That's about it. Now it's time to focus on my first 'A' race - the Loveland Lake to Lake. It's Olympic distance 1500m / 26mi / 10K - although I think the bike might be a bit longer. Following the Joe Friel plan which focuses right now on blocks of intensity followed by 2-3 days of recovery workouts. Bike workout today was 90 minutes (ended up being 1:40), with 5x5 min hill repeats at Z4 (218-254W) - recovery on the descent. Did them in aero at 230 / 236 / 243 / 247 / 252 / 257 - felt really strong and comfortable. 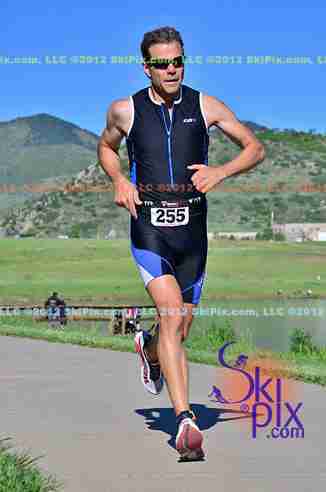 Practiced one arm in aero on the descents to build that solid feel. 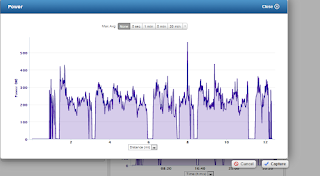 Hit some 34mph+ in aero just pedaling along. Sweet. Happy with the recovery from Sunday as well as the tough swim on Monday and 5x5' run intervals at race pace yesterday. Did a 40 minute skills based swim tonight before dinner. Was halfway down the lane on my second lap and all of a sudden there was this 10 year old girl in front of me trying to cross lanes. I had to pull up and put on the brakes. I talked to her about it being a bad idea. She could have gotten really hurt if I hadn't seen her. Whew. Anywhooo.. I know this stuff isn't very exciting to y'all. Thanks for hanging in there and I don't blame you if you just skimmed this. 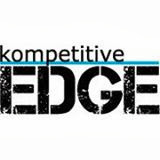 I wrote it more for myself as some race notes / thoughts since I moved my training log over to using Google calendar and tend to write pretty terse notes in there these days. Ok, this one's not bad. I might buy it. I don't really have that many photos of me riding a bike - you'd think I would after all those years of racing bikes! Hah - my signature left elbow when I get tired. It stems from when I broke that arm snowboarding a few years back. It rotates weird when the muscles are tired and I'm just relaxing my upper body. Felt strong and relaxed running in. Paige and Luke waiting for me. You continue to be an amazing child!!! GREAT picture of you and Paige. Keep going, my dear son.